. 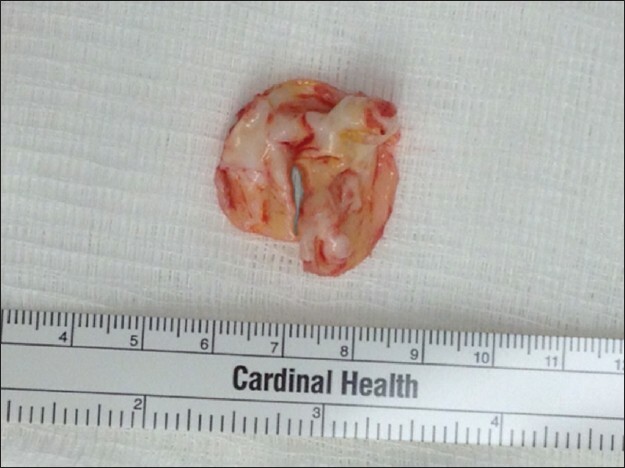 Upon examination, the unicuspid leaflet was fibrotic with focal calcifications [Figure 2]. The valve was excised and replaced with a 23 mm mechanical valve. The patient had an uneventful recovery from the procedure. 1. Novaro GM, Mishra M, Griffin BP. Incidence and echocardiographic features of congenital unicuspid aortic valve in an adult population. J Heart Valve Dis 2003;12:674-8. 2. Chu JW, Picard MH, Agnihotri AK, Fitzsimons MG. 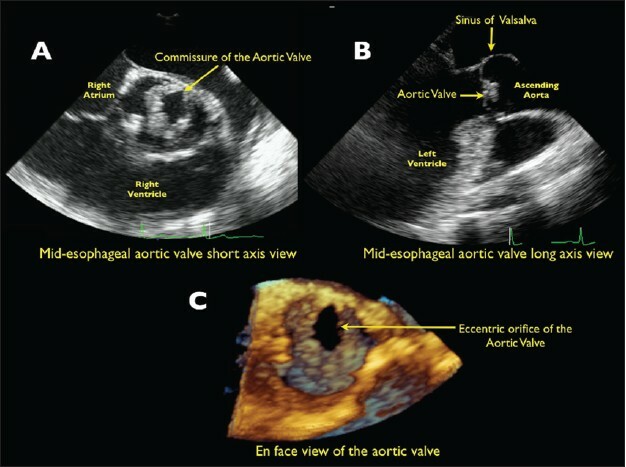 Diagnosis of congenital unicuspid aortic valve in the adult population: The value and limitation of transesophageal echocardiography. Echocardiography 2010;27:1107-12.